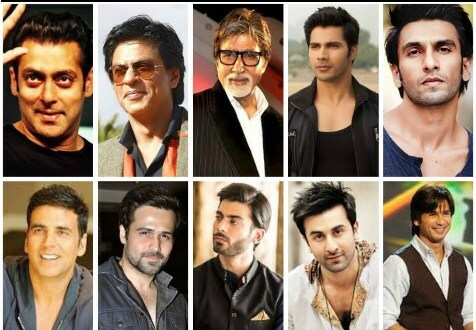 """ keywords'/> "" " 15-Game Plans of Bollywood Stars to Become Most Desirable | Best Actor Academy-The Monster Of Free Acting Tips ""
Being likable has its benefits - you'll have an easier time making friends in the film / TV industry and achieving your dream to be a great actor Recently, Some of the Bollywood stars shared some advice on how making yourself more appealing and achieve success. Seeing a smile makes other people happy, so if you're smiling when you're interacting with someone, he'll find you easy to like and friendly. There's nothing people love more than to talk about themselves. They will find the conversation most memorable and positive if they spend time talking about themselves. Listen more to other people than you speak, and people will feel valued. Even if you're asking questions, people won't warm up to that if it seems you're not listening to what they're saying. Names are such a core part of people's identity. Bringing their names up in the conversation will not only make them feel good, but they'll also appreciate the fact that you remember their names. For example- Mukesh Ji, Vandana Ji... and speaking frequently in a conversation. Repeating what someone said to you and strengthening it will help people feel recognized and approved. And that's all people want- acceptance! Give advice to people when they ask you for it. If you go around telling people your opinion, you can come across as being overbearing and bossy even if you're just trying to help. Trying to compete with everyone and to be one-up on everything people say can quickly make you less likeable in their eyes. If you make a mistake, take responsibility for it. Acknowledge it, and don't point the blame at someone else. People appreciate undivided attention, because it makes them feel like you're truly listening to them. It makes them feel that you value their presence and time. You may get overexcited (For example, hearing: “You are short listed and have a good chance”) and interrupt people while they are talking, which can annoy them. It makes them feel that what they have to say is not that important to you. Making the right amount of eye contact with someone can help them feel rapport with you. You'll also be considered as being more confident and trustworthy. Everyone has different opinions - learn to be OK with that. Your way may not always be the right way for others, so don't try to convince them that they're wrong. Accept your differences. Likeable people don't need to constantly seek sympathy and attention to feel better about themselves. Focus on making yourself happy first, and people will lean toward you. If you try too hard, people can see that and after some time may become disinterested in you. Wear clean clothes, brush your teeth, and take baths.